One of life's greatest joys for many Christmas Enthusiasts is decorating the outsides of their homes for Christmas. 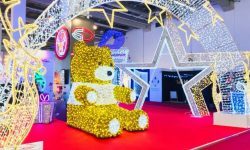 Getting all the lights out of storage, clambering up ladders, and attaching the lights to eaves and trees is a yearly ritual - one that spells the beginning of the holiday season for millions of Christmas Enthusiasts worldwide. Lots of full-fledged Christmas Enthusiasts don't live in homes with lots of outdoor property that can be decorated. Millions live in apartments, or townhomes, or condos. They live in places where they don't have access to a large expanse of outdoor area for stringing up Christmas lights. Does that mean that these millions of Christmas Enthusiasts just have to forgo the joy of outdoor decorating for the holidays? Hark! What Light Shines On Yon Balcony? 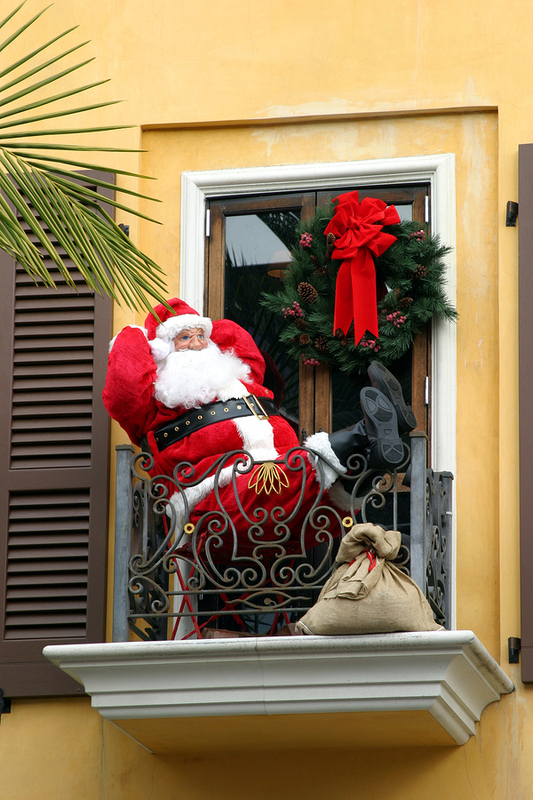 Most of the millions of Christmas Enthusiasts that don't live in houses do have access to a little slice of the outdoors, usually in the form of a balcony (or a small patio). And though a balcony certainly isn't as expansive as the entire outside of a house, it's fair game for Christmas decorating. 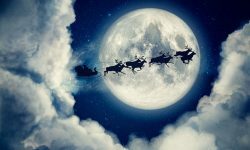 So if you're a Christmas Enthusiast living in an apartment, townhome, or condo, here are a few tips for making the most of your outdoor space. 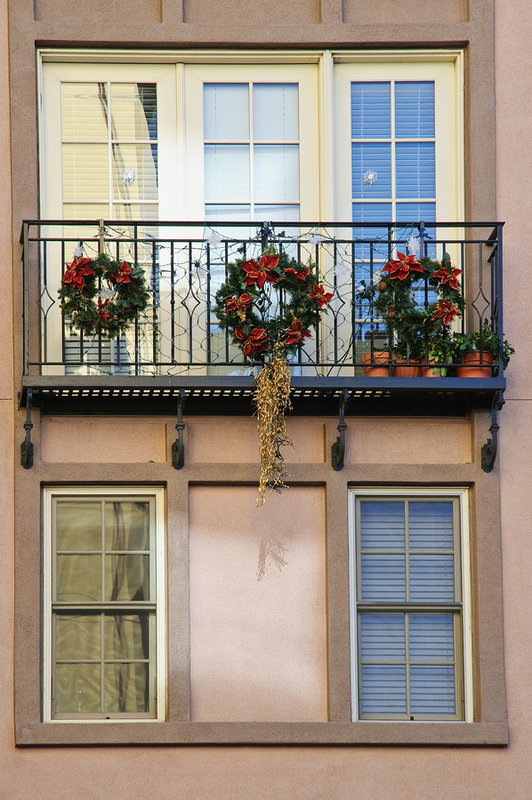 Before you plan your balcony's display, determine just how much space your dealing with. How much wall space do you have access to, for example? (Careful - don't lean out too far over that railing!) What's the height and width of the railing? Be sure to use only extension cords rated for outdoor use. 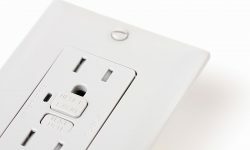 And follow these guidelines for the safe use of extension cords. You'll also want to confirm that Christmas decorations are permitted on your property. Some properties prohibit the use of outdoor Christmas decorations (can you say GRINCH!?). 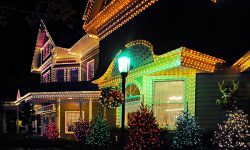 Others have specific rules in place that define how and where any outdoor decorations may be attached. 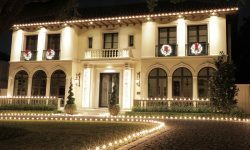 Christmas lights will probably serve as the foundation of your holiday decorations, same as for homeowners. But in your case particularly, you'll probably want to be pretty selective about the lights that you choose. You might be tempted to go with large C7 or C9 bulbs that are popular for outdoor decorations. While these might work well for you, also give some consideration to using small but powerful Wide Angle Conical lights. These lights are used almost exclusively by professional Christmas lighting installers, and pack a powerful visual punch with a small package. Since you'll likely be attaching your lights to surfaces such as metal railings and brick walls, you might have some concerns about finding ways of attaching lights to such surfaces. No need to worry, though. For every imaginable surface, there's a perfect attachment method and device. You can learn how to attach your lights to any surface using this guide. 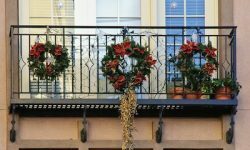 A balcony railing is a picture-perfect setting for hanging a Christmas wreath, or a series of wreaths. In fact, a balcony railing featuring a series of wreaths outlined in Wide Angle Conical lights makes for a striking display. Many different sizes of wreaths are available, one of which will be just right for your balcony railing. Christmas bows, too, are perfectly suited for display on balcony railings. Got Room for a Tree? A balcony or patio can be a great place for a Christmas tree. If you live in a fairly cramped apartment or condo, in fact, your balcony or patio might be the best place to display a full-sized Christmas tree. For outdoor use an artificial tree will likely be best. And of course you'll want to size the tree appropriately. To make the very most of your small space, don't hesitate to think outside of the box. Getting creative can really set your outdoor display apart, small though it may be. Specialty décor such as animated snowfall tubes and icicle lights, for example, can lend a very exotic look to your outdoor display when hung from the balcony ceiling. Some dangling Holispheres can also provide a fun and unique look. How about framing your balcony doorway with the delightful greenery of a Christmas garland? And as their name implies, patio string lights are perfectly suited for patio or balcony displays - not only for Christmas, but for any festive occasion. You may not have a large, stately home with an expansive lawn to decorate. But that doesn't mean that you can't fully participate in the fun of decorating outdoors for Christmas. Just survey your balcony or patio space with an appraising eye, consider the tips above, and then go all Clark Griswold on that space. You can have just as much fun as Mr. Homeowner. And you'll have no worries about taking a dive off a ladder or rooftop!